Home Mattress Basics I sleep hot, what can I do about it? What’s the best mattress for sleeping hot? For someone who is a hot sleeper, “cool as the other side of the pillow” may seem like an impossible dream. What many people who suffer through hot nights, uneven body temperatures, or night sweats don’t know is that it may be as simple as understanding which type of mattress is best for you. The construction and materials used in different mattresses generally determine how much heat a particular mattress retains. If you tend to sleep hot, visit Mattress World Northwest, Oregon’s top mattress showroom. Our Sleep Specialists are waiting to assist you in all of our 11 conveniently located stores throughout the Portland area–including Wilsonville, Salem, Canby, Clackamas, Gresham, Washington Square and Beaverton. The popular memory foam mattresses are known for their distinct advantages—molded comfort as the foam conforms to your body contours, relief from painful pressure points, and holding your body in place with minimal nighttime movement are all reasons why some of us love our memory foam mattresses. But hot sleepers complain that memory foam retains heat because of the closed construction of the foam cells, resulting for some in a restless sleep as the body tries to find a way to cool itself. However, hot sleepers should know that there are distinctions between high density memory foam mattresses (hotter) and low density memory foam mattresses, which tend to be cooler. There are memory foam alternatives like latex-over-foam beds or foam-over-latex beds or high quality polyfoam mattresses that have very similar properties to memory foam and may be indistinguishable to the average sleeper. They have the advantage of more breathability and airflow because of their more open cell construction and will provide a cooler night’s sleep than memory foam with the same contoured support. Because a sleeper sinks into the tighter, more closed construction of a foam mattress, they’re considered to have less breathability than natural fiber mattresses such as horsehair, wool, or cotton, which have a high degree of breathability because of their looser, more open airflow. 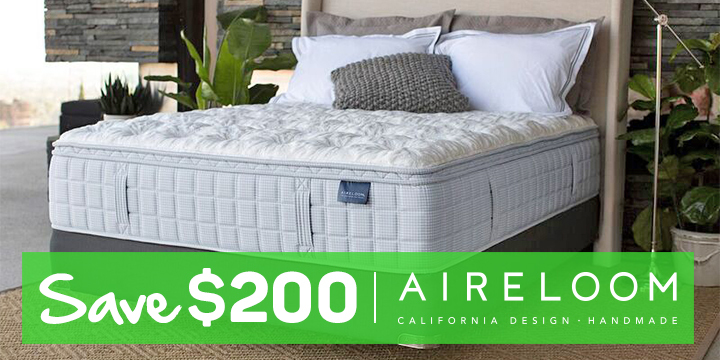 The natural fibers are more suitable for a hot sleeper because of the increased airflow under the body while asleep. However, they don’t have the resiliency of foam, so they have a tendency to compress over time. If you’re a hot sleeper, you may also want to take a look at traditional mattresses with individually wrapped coils. Because of their open construction and extreme breathability, an innerspring mattress can distribute heat almost 30% better than foam mattresses. 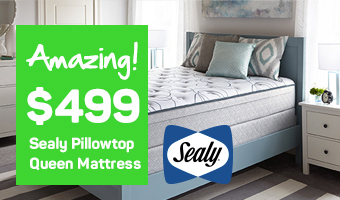 Lightweight bed linens and an inner spring mattress may give you the coolest sleep of all. However, a traditional mattress with a layer of memory foam may sleep as hot as a memory foam mattress. 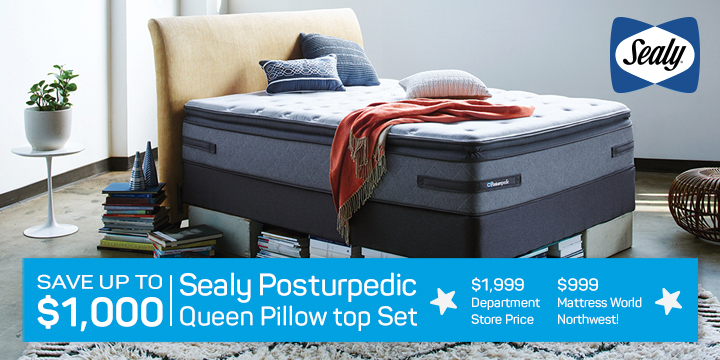 Ask your Sleep Specialist at Oregon’s #1 mattress retailer Mattress World Northwest to show you the different options you have as a hot sleeper. A new breed of mattress—the hybrid mattress–is providing hot sleepers with the advantages of comfort and coolness by combining the contoured comfort of memory foam, a more open latex foam core for breathability, and innerspring coils to provide support and airflow. Gel mattresses are another effective alternative for those who tend to sleep hot. They combine memory foam comfort and contouring, but also are constructed with millions of tiny gel beads that increase the airflow and breathability of the memory foam. The more open foam construction created by the gel beads lessens the density of the memory foam. The beads actually fortify the memory foam construction and have the effect of not allowing the body to sink so deeply into the foam. Owners of gel mattresses have reported as much as 30% better cooling than memory foam. If you’re a hot sleeper, the important thing to remember is that your Mattress World Northwest sleep experts are highly experienced in helping customers choose from a wide array of brands and models that will break the cycle of restlessness and poor sleep that hot sleepers endure. Wherever you are in Oregon, there’s a Mattress World Northwest near you. Visit us in downtown Portland, Canby, Salem, Clackamas, Wilsonville, Beaverton, Glisan and Gresham for Oregon’s widest selection of mattresses.